ASUS has a good reputation in the overclocking community, so we anticipate a nice boost in speed from the M4A78T-E. An AMD Phenom II X3 720 Black Edition processor was dropped in, now while this chip can be overclocked by simply raising the clock multiplier higher, to find out how well the M4A78T-E supports overclocking we'll need to adjusting motherboard clock speed until it can go no further! 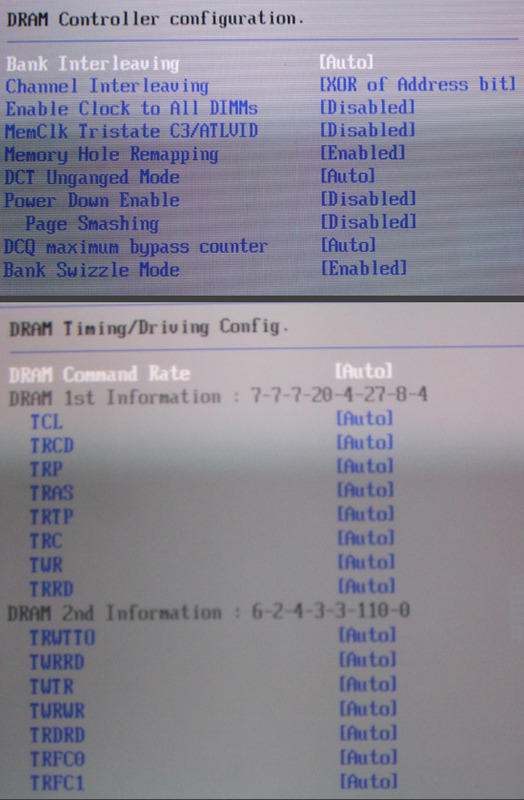 Before the overclocking tests got underway, two sticks of Patriot PDC32G1600LLK memory were set to run at DDR3-800 MHz mode, this way it won't be holding the CPU back. AMDs standard AVC Z7U7414001 heatsink was used (see Frostytech's review of it here). 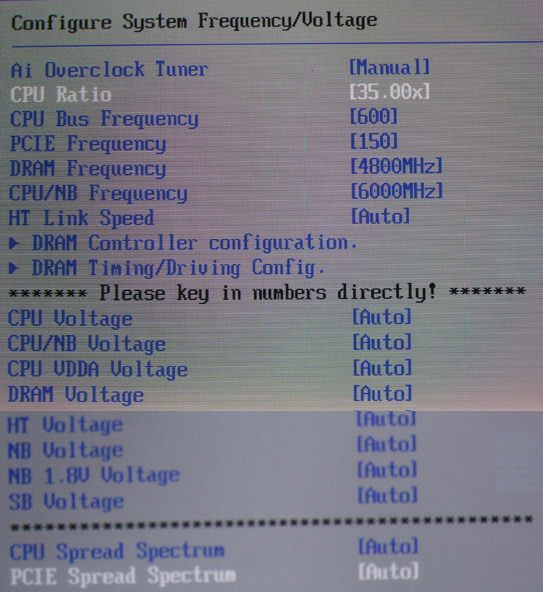 The 14x CPU clock multiplier was set to 8x, and the reference clock speed on the ASUS M4A78T-E motherboard was then increased from 200 MHz on up. PCSTATS also disabled features like Cool'n'quiet and AMD load balancing. ASUS' M4A78T-E motherboard easily managed the jump from 200MHz up to 250MHz, and from there up to 270MHz. After that the system required a small 0.1V boost to memory voltage in order to keep overclocking. This allowed us to achieve a final overclock of 290MHz, identical to the M3A78-T board. 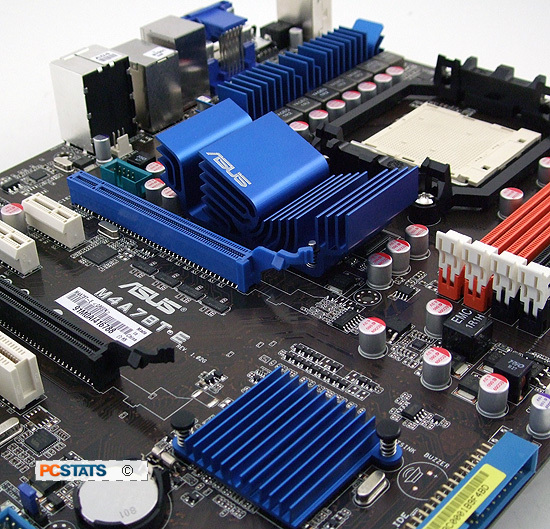 The BIOS controls how the motherboard communicates with all the peripherals connected to it, and is a crucial component for any good well rounded motherboard. PCSTATS is only going to highlight the tweaking features so you'll know what to expect. The manual overclocking page for all ASUS motherboards is called the JumperFree configuration. It's here that you can manually adjust the clock speeds for the FSB, set the CPU multiplier and adjust memory speeds and timings. CPU voltages can be increased in +25mV increments up to a total of +375mV. The AMD 790GX northbridge can be brought up to +300mV, and the DDR3 memory can be increased to +600mV. Remember that these are the maximum voltages, and power settings this high can damage your motherboard and components, so be careful before you start adjusting them! The advanced memory screen lets you configure some of the more exotic memory settings, while memory timings and frequencies are set on the JumperFree configuration page. Most of these memory settings will only be used for troubleshooting purposes or to get very exotic memory working properly on the ASUS M4A78T-Emotherboard, so most users can safely leave it alone. Here's the Advanced CPU configuration page, where it's possible to adjust AMD's Cool'n'Quiet (CPU throttling), CIE support (enhance halt-state) and adjust a few other parameters. 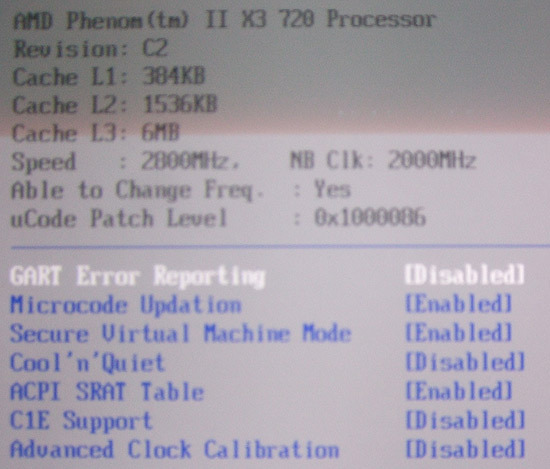 Don't bother turning on ACC if you have a Phenom II processor installed. This increased functionality is already included with your shiny new processor. Here's the configuration page for the internal graphics controller. Overclock the graphics processor is quite easy, and might give enough extra performance to warrant some fine-tuned adjustments. It's also possible to adjust the amount of memory the Radeon HD 3300 uses, as well as configure HDMI and audio output. We've opened it up, taken a good look at the ASUS M4A78T-E and overclocked it. Next up, benchmarks!